We live in a digital age and technology has become an essential part of our lives, whether it’s 4K super HD TVs, computers or smartphones, machines are all around us. Technology is trying to make our lives easier, but is this always the case? Technology is prevalent among the door hardware industry and brands such as SimonsVoss offer innovative, clever and secure keyless locking solution. 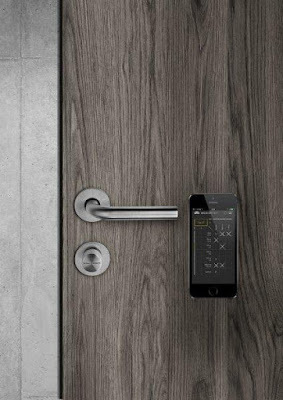 For example, the brand new MobileKey from SimonsVoss is an electronic access control system that uses a transponder, pin code keypad or smartphone to lock and unlock a door, thus moving away from the traditional key. Keys have been around for hundreds and hundreds of years. We know how to use them, and we know to call a locksmith if we have misplaced them. So now with all this technology and smart devices allowing people to access buildings remotely, how safe and secure is it? And when are the traditional methods more suitable? Keyless locking systems are the very latest in state-of-the-art technology. The trusty key is replaced with a digital transponder, PIN code keypad or smartphone, and instead of a mechanical cylinder an electronic one is installed. Locks that don’t actually feature the traditional ‘keyhole’ that we think of, make it more difficult for burglars to gain entry. As there is no lock to pick! Maintenance managers and supervisors find themselves carrying around big sets of keys to access all areas of a building, with MobileKey keys can be ditched and replaced with a single transponder for all doors. 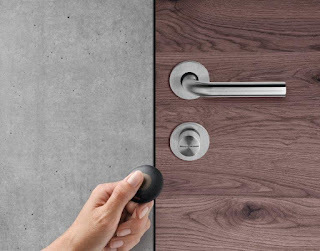 It’s important not to overlook the additional advantages offered by electronic locks that are not possible with mechanical systems. Logging, auditing, intrusion detection, monitoring, and remote or automated locking/unlocking allows those responsible for building security (such as facilities managers) to know who was in a room and for how long. Access rights can be modified with a smartphone as and when. Some digital locks are powered through electricity, and although power cuts aren’t all that common in recent times, should there happen to be a power failure, the lock may cut out – restricting you from entering the building. 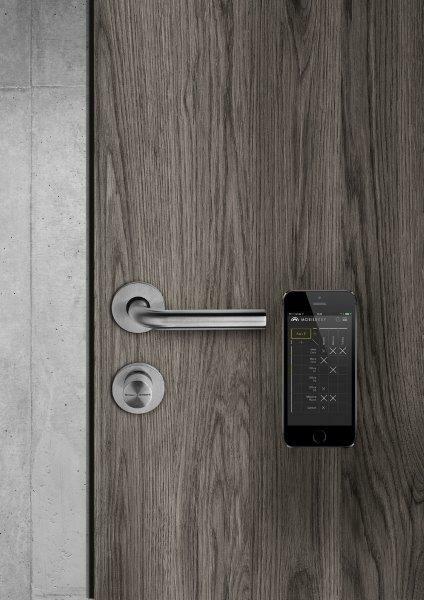 However, some do not have to be hardwired in and are standalone, such as the intelligent SimonsVoss Mobilekey. Having manual door and access controls tend to require less maintenance, but it’s extremely important to still check them regularly. So what’s best for your building? Digital access or a good old-fashioned manual system? The distinction between mechanical and electronic locks is complex, but important. In most settings electronic locks offer far more benefits than drawbacks compared to mechanical locks. It’s sensible to be cautious when adopting this new technology, but not so timid as to deny the numerous advantages electronic systems have to offer over mechanical ones. Whether we like it or not, the digital age is here. It will stay and it will grow. Those who try to ignore it will get left behind, so why not give it a try and join the keyless revolution.